Mr. Tsumpti was born and raised in Warm Springs. His tribal heritage descends from the Tiah Band of the Icischkin or Warm Springs People and the Clackamas band of the Kiksht or Wasco People. His father came from the Philippines as a World War II Veteran. Mr. Tsumpti’s Indian name is Wa Wi Yus. Mr. Tsumpti grew up fishing and doing ranch work. He was raised by his grandparents Fred and Mary Sumpter. In 1961 Mr. Tsumpti dropped out of high school, with 10th grade being the highest grade he completed, but went on to obtain his GED. Mr. Tsumpti served from 1962 to 1966, during Vietnam, on the USS CATAMOUNT LSD-17 in the United States Navy. From 1968 through 1989 he went from a Range Rider to the Chief of Police. He is a retired police officer of the Warm Springs Tribal Police. Mr. Tsumpti has served seven of the last eight terms on the Tribal Council. He enjoys serving as a tribal council representative from the Simnasho district. 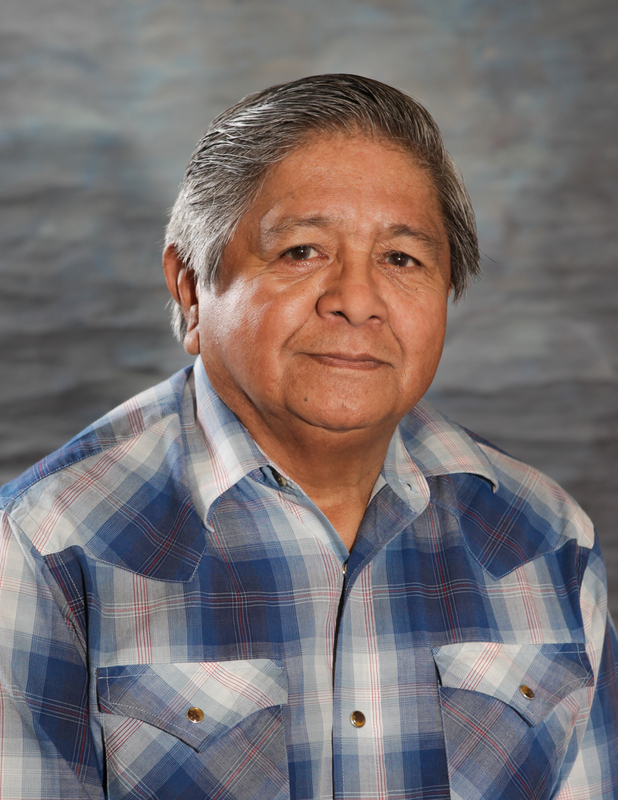 From his past experience serving as a Tribal Council representative he considers it an honor to have sat with the best minds and most respected representatives that the Tribes had to offer. He states that they often came together and made some difficult decisions on behalf of the Tribes, and more importantly for the generations yet to come. He believes that the important documents such as the 1855 Treaty, the Constitution and By-Laws, Corporate Charter and the Declaration of Sovereignty have played a large part in coming to good decisions, in protecting the future and sovereignty. Mr. Tsumpti’s personal goals and objectives for his current term of service on Tribal Council is protection of the 1855 Treaty, and the Tribal Constitution. Mr. Tsumpti asserts that he does not have a personal agenda, but instead, believes his responsibility is to carry out the People’s agenda.